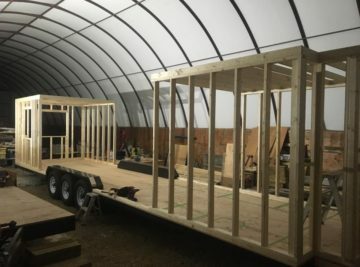 Check out Finished Right Contracting Projects | Tiny Homes and more! At FRC, we can custom build you a job site office with all the amenities you need AND that can be easily moved with a pickup truck! 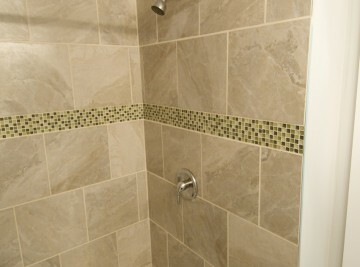 Condo renovation project included a complete bathroom demolition and rebuild. A stylish staircase with custom wood and iron railings. 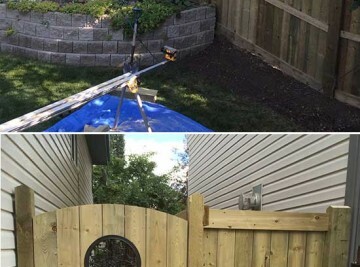 The main challenge was the slope of the backyard and the previous fence was made in a stepped design that our clients did NOT want again. This fence now flows nicely with the slope of the backyard and will last many years to come. 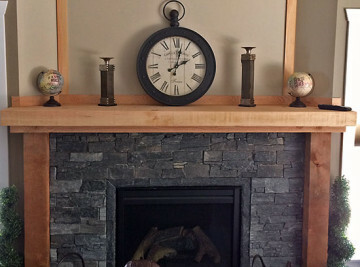 We do custom fireplace mantles in heavy timber such as rough cut fir or cedar, aged barn board or paint grade MDF depending on the style you are looking for! Whether you are here for the winter or have migrated south to your cozy spot across the boarder, your tiny home will have you living in comfort. The one thing you can count on in Alberta are the 4 seasons. 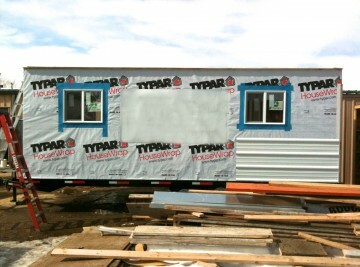 Finished Right Contracting builds tiny homes, ice fishing / hunting shacks to accommodate ALL 4 seasons. Well, after a whirl wind tour to the coast and back to meet the Lutz family, I have to say I had an Amazing visit! 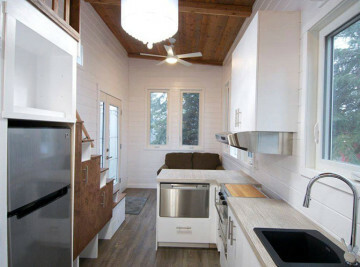 Check out this tiny home that made its home in BC. 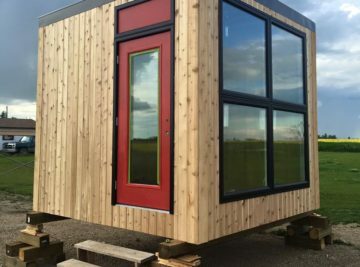 The Parks Canada Micro Cabin is a pilot project to see the level of interest in a unit like this renting out on a nightly basis in the National parks across Canada. This model is the biggest square footage we've built to-date. 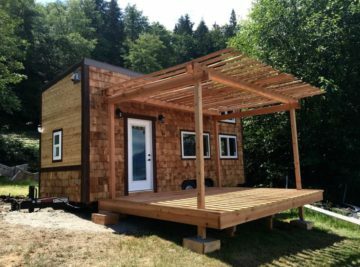 This Dream 34 Foot Tiny Home is a 2 loft bdrm model for a family of 4. 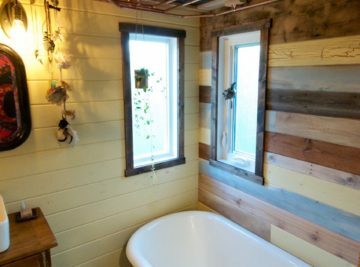 Steve Zaleschuk's master craftsmanship definitely shows well in this tiny home. Check out our gallery pictures to see the beautiful dark stained cabinetry and feature wall, the cleaver storage solutions and the raised kitchen. 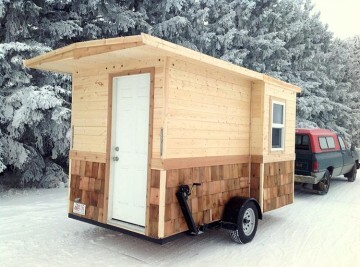 Welcome to The Savannah Tiny Home situated in Turner Valley AB. Owner, Savannah and her two boys are living tiny and so far loving it!